Will Ferrell: Fatherhood’s like running a prison! 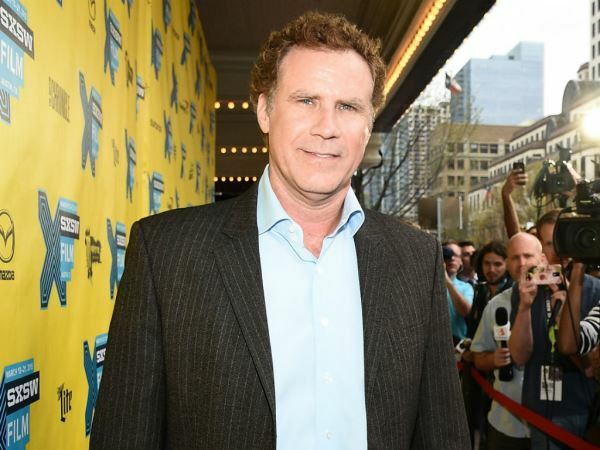 Will Ferrell admits that he sometimes compares being a dad to “running a prison”. The Anchorman actor has three sons with wife Viveca Paulin, Magnus (11) Mattias, eight and five-year-old Axel. While he adores his offspring, having so much testosterone in the house can make things a little manic. The funnyman spoke of his family life at the SXSW premiere of his new film Get Hard in Austin, Texas. While he’s known for playing fun, lighthearted characters, the star admitted he can get serious with his kids when he needs to. “Those rare moments where I lose my temper and I really become a dad, I often think, ‘Oh, if anyone was a fly on the wall, they’d be like, “Will Ferrell is not a funny father! He’s way too strict,’” he laughed. But his times playing bad cop are few and far between, probably because Will just loves to make people smile and laugh too much. He recently revealed to the British edition of GQ that he has always been committed 100 per cent to comedy. “There's a perverse pleasure in knowing that 75 - 80 per cent of people will get it, but knowing 20 - 25 per cent will not only think it's not funny, but will be like, 'That's dumb. Why would we do that? I don't get it. We hate that guy!'" he explained. I'm a 55 year old man looking to meet women between the ages of 42 and 52.